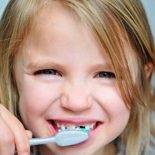 Dental Care Texarkana | Family Dentistry Texas | Pediatric Dental Arkansas - Andrew S. Curry, D.D.S. Need A Dentist? Andrew S. Curry, D.D.S. When you want a range of high-quality dental treatments in Texarkana, there’s no better dentist to turn to than Andrew S. Curry D.D.S. Dr. Andrew Curry is a Top Rated Local® Dentist who provides a wide range of dental services in a relaxed, calming environment. In addition to providing you with a variety of services to meet all of your dental health needs, we are proud to say that we can provide dental care for your whole family! Whether you need care for your child, yourself or an elderly relative, there’s no better family dentist to turn to in Texarkana than Dr. Andrew Curry. 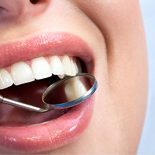 Regular teeth cleaning by a dentist removes plaque that may develop even with careful brushing and flossing, especially in areas that are difficult for you to reach on your own. Make an appointment for professional teeth cleaning and polishing with our family dentistry team today! We care for your whole family by providing pediatric dental treatment for children from birth through the teen years, and we focus on creating healthy, beautiful smiles. Make an appointment to ensure that your child is getting the highest quality of pediatric dental care available! Elderly patients often experience a variety of dental issues specific to aging adults. 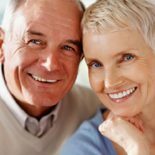 We offer dental care for geriatric patients with a deep understanding of these senior dental issues, including those related to gum disease, tooth decay and the need for dental replacements. With dental lumineers, you can finally get the smile you deserve. Lumineers are less intrusive than other cosmetic dental procedures, and they’re not permanent. Lumineers are used for a variety of reasons, from brightening stained or discolored teeth to eliminating gaps and reshaping teeth. A porcelain crown is designed to replace the external portion of a tooth that has been damaged. Porcelain crowns add resilience and strength, but they can also be used to improve the aesthetic appearance of your teeth. If you have a missing tooth (or several missing teeth), dental implants may be the best option for you. They are long-lasting, easy to care for and are very similar to your natural teeth in both function and appearance. Invisible braces are a simple way to straighten your teeth without all of the wires and brackets that come with traditional braces. It’s never too late to get the even, beautiful smile you’ve always wanted! We offer a variety of dental services to keep your smile bright and your teeth healthy. Dr. Andrew Curry’s friendly, gentle manner has earned him the title of Best Dentist. If you’re trying to find professional dental treatment, Dr. Curry’s office is located on Texas Boulevard. Dr. Curry’s courteousness and professionalism can bring that smile back to your face. Regardless of whether you’re looking for routine dental care, like an examination or teeth cleaning, or cosmetic dental care, like teeth whitening or lumineers, turn to Andrew S. Curry D.D.S. Schedule your appointment today!